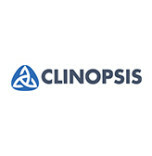 For biotech pharma, amd med tech companies, Clinopsis provides temporary and permanent personnel and specialised consultants. Active for more than 5 years, we have a proven track record of providing the right people according to the assigned budget. Whether it is for a few hours a week of specialised consultancy to complete your team’s existing experience, an experienced scientist for a year, we can find the right solution. We work in the areas of clinical research, data management, statistics, quality assurance, medical writing, pharmacovigilance, and preclinical research and can also provide administrative assistance. We work with people at all levels of seniority from entry-level to experts.